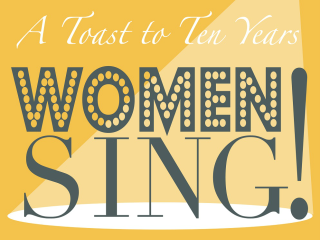 The City Theatre Company presents Women Sing! To celebrate ten years of amazing performances, City Theatre Company stage performers Cathie Sheridan, Michelle Cheney, Tracy Hurd and Dawn Erin are coming together to sing their favorite songs from Broadway classics, pop favorites, past shows and more. There will be a special guest appearance each night, making this a show run that you won't want to miss.